My cousin turned 10 yesterday. He requested a chocolate cake with chocolate frosting, and I was more than happy to comply! I made a chocolate sheet cake (THIS recipe in 9×13 pan) and topped it with a generous layer of chocolate frosting – and a whipped chocolate buttercream frosting at that! It got good reviews all around, a definite crowd pleaser, and the birthday boy was happy =). 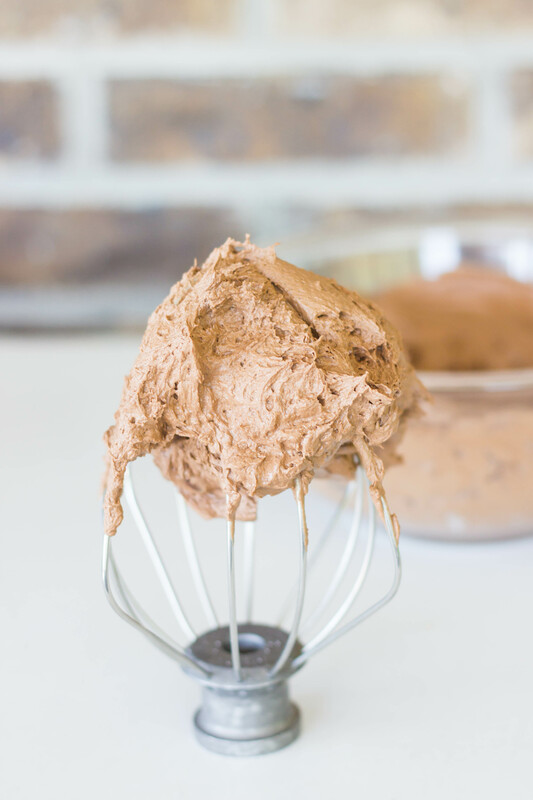 You could use this frosting on pretty much anything you wanted – white cake, yellow cake, chocolate cake, sheet cake, layer cake, cupcakes, etc. – but it’s pretty epic on a great chocolate cake. Double chocolate anyone?? It even pipes good too! So versatile. So delicious. Give it a try! Enjoy! 1. 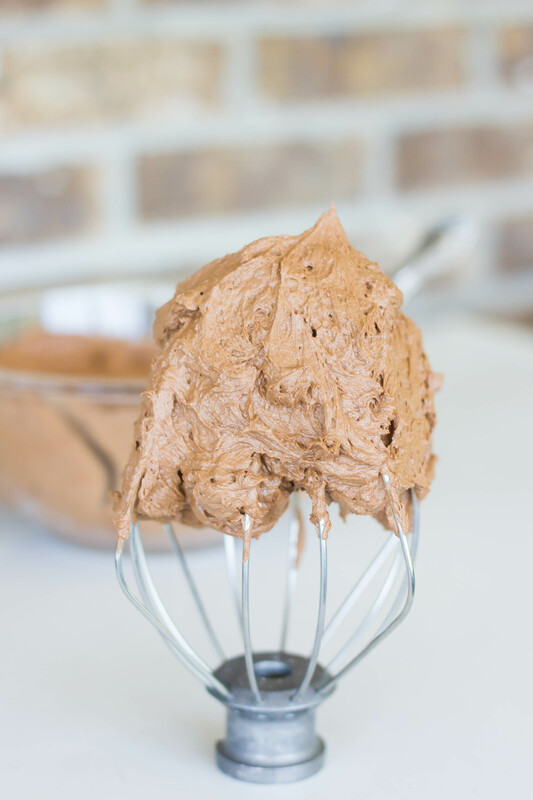 In bowl of stand mixer with paddle attachment, beat butter on medium speed until light and fluffy – about 1-2 minutes. Gradually add powdered sugar and unsweetened cocoa powder. Beat on low speed until combined. 2. Add salt, vanilla, and 4 tbsp whipping cream. Beat on low speed until combined. Increase speed to medium to medium-high and beat another 2-3 minutes or until very light and fluffy. Add remaining cream if necessary. Eat by the spoonful. 😉 Use as desired! Store in the fridge. Makes enough to frost a 9×13 sheet cake, a 9-inch layer cake, or 24 cupcakes.